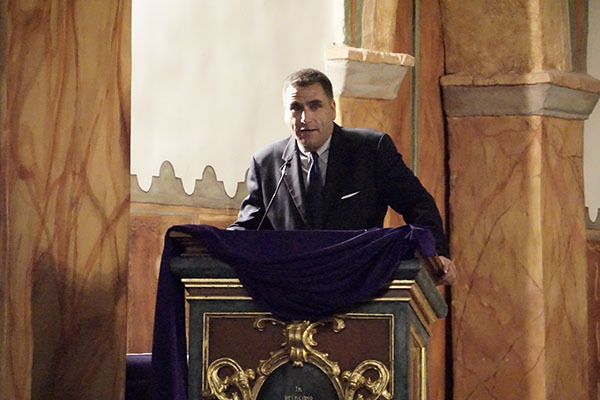 Mission San Juan Bautista and San Juan Bautista State Historic Park hosted this year's recent California Missions Conference. These venues served as a perfect backdrop for three stimulating days of Presentations, Tours, and the Awards Banquet. Book vendors at the 2016 California Missions Conference. Taking place over the Presidents' Day Weekend, the conference started with the first annual CMF institute, which included a half day session on the Bi-National initiative to nominate the El Camino Real de las Californias as a UNESCO World Heritage Site and roundtable discussion on best practices in interpreting California Indian experiences at the California Missions. 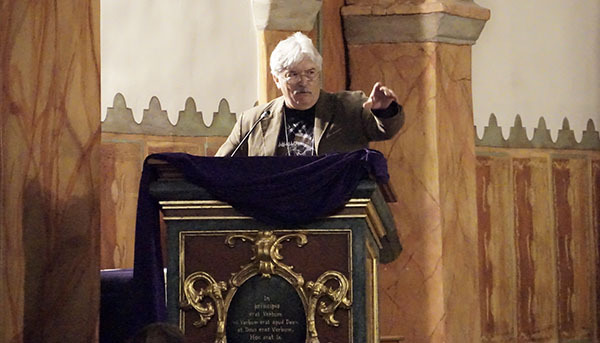 The institute was followed by the opening reception and a Keynote Address in the historic Mission church by Carla Rahn Phillips, a world-renown scholar of Spanish maritime history. CMF Chairman Milford Wayne Donaldson, FAIA. Executive Director David A. Bolton addresses Conference attendees. A total of 17 scholars delivered research papers at Saturday's paper sessions and in the late afternoon, the session went mobile with roving sessions featuring San Juan Bautista State Park, the Mission, and an update on the Native American Family Housing project located on State Parks property. 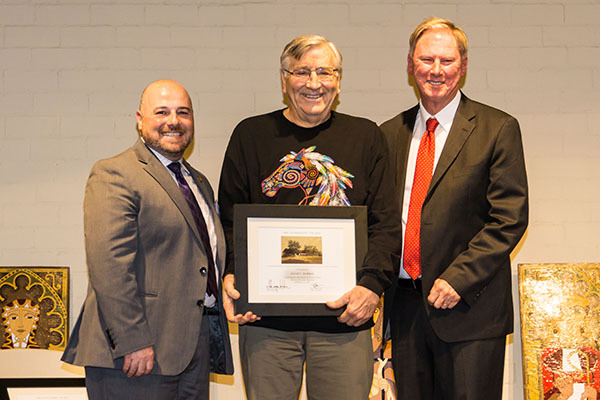 Saturday's Awards Banquet honored the top scholars and those who have dedicated their professional lives to CMF and to the preservation of the California Missions and related sites. More than 20 presenters and panelists took part in the three-day Conference. 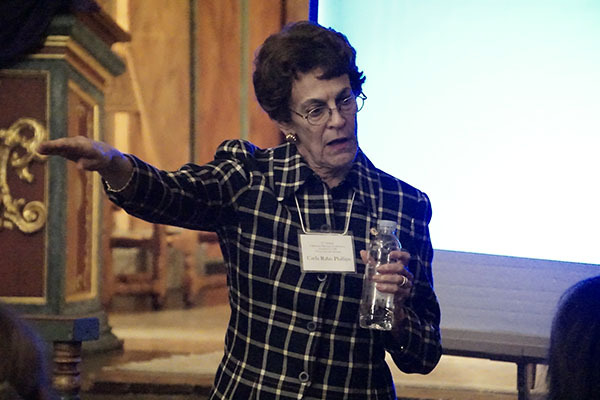 The 2016 Keynote Address was given by Dr. Carla Rahn Phillips, noted historian and expert on Spanish maritime history. 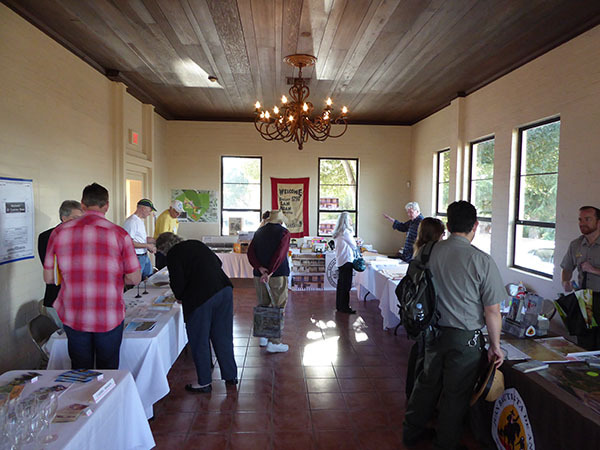 As attendees traveled home on Sunday, many took advantage of special tours at Mission Santa Clara, The Castro Adobe (the former home of Edna Kimbro and now a California State Park), and of the town of San Juan Bautista. 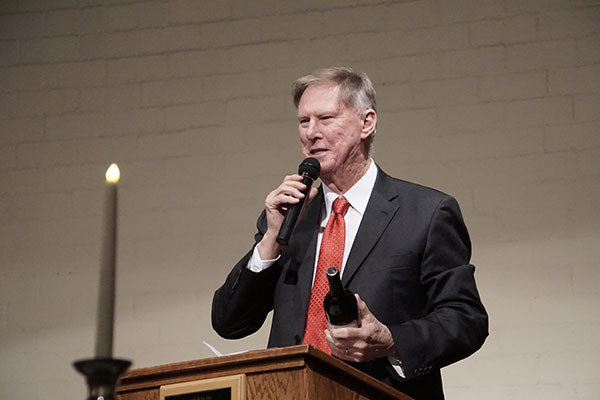 Annually, the California Missions Conference rotates between northern and southern California, with a different site chosen each year to host the upcoming conference. The Conference is held every Presidents' Day Weekend and features researchers, scholars, docents, mission employees, and aficionados of the history, art and architecture, and culture of the Missions and related historical sites. Everyone is welcome to register and attend. Dr. Jarrel C. Jackman receives the 2016 CMF Chairman's Award. 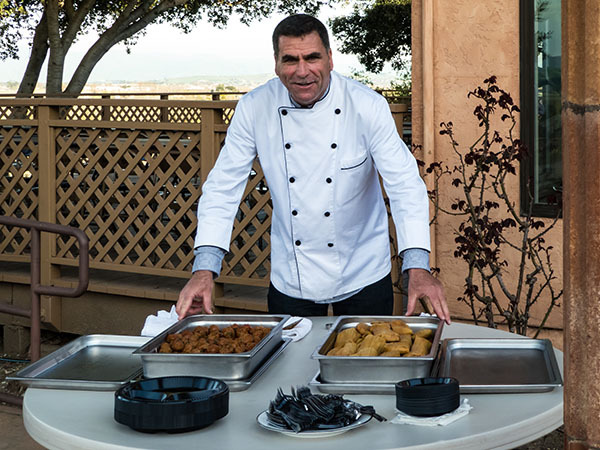 CMF Executive Director David A. Bolton prepared lunches both days, as well as dinners Thursday and Saturday evenings, and the Friday CMF hosted reception.